You're welcome to bring spectators to watch. Pets are not allowed. 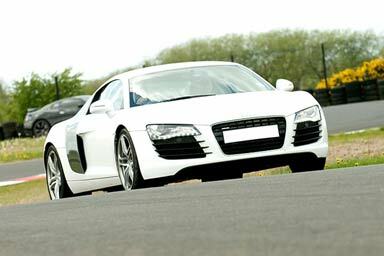 This supercar blast experience makes a superb gift. 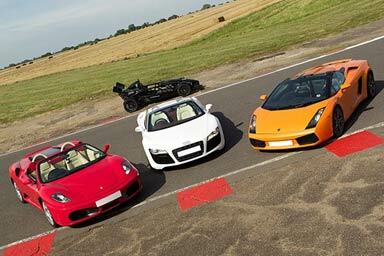 With a choice of the world's greatest cars from the world's finest manufacturers to choose from, this allows the lucky recipient to choose their favourite supercar they wish to drive, and to take a partner with them to join in the fun. With a choice of cars with so much power, style and beauty that they'll take your breath away before you've even got behind the wheel, this is a dream come true for any petrol head. Please note that not all cars are available at all locations, please check on booking. Your experience will begin with a welcome, introduction and safety briefing. Following this you'll both have familiarisation laps with the instructor driving a performance training car. Here you will learn the correct driving lines. Next is the moment you have been waiting for, three or four laps each behind the wheel of an awesome supercar. To commemorate your experience you will be given a driving certificate to remind you of this magnificent day. Please note the cars available depend on the location. The minimum age is 17 years. The maximum height is 6ft 5' (1.95m) and the minimum height is 5ft (1.52m). The maximum weight for all participants is 18 stone (114kg). All participants must hold a valid full drivers licence. Anyone seen under the influence of drugs or alcohol will not be able to participate in the experience.